Does this look familiar? 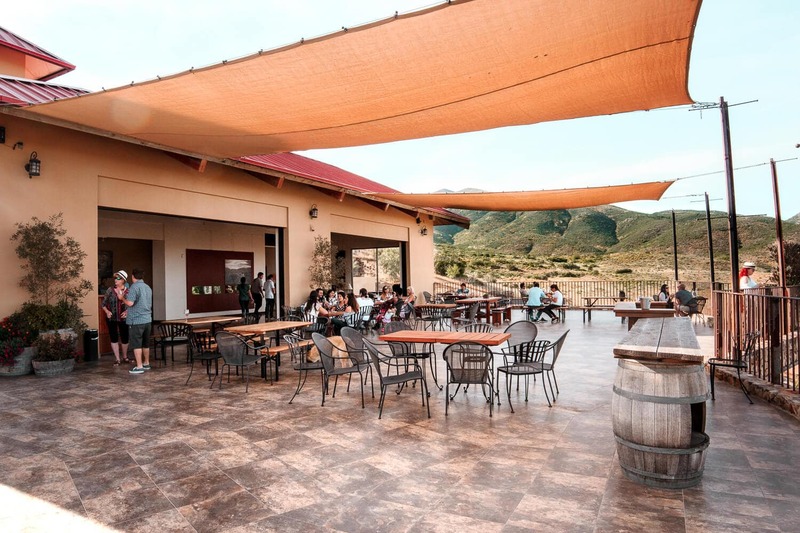 This post has been updated to include new Valle de Guadalupe wineries, photos and information. 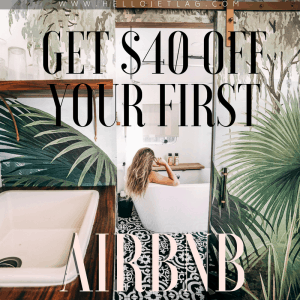 Over the past few years, Nick and I have fallen in love with Mexico’s wine region and it has slowly become one of our favorite local getaways. 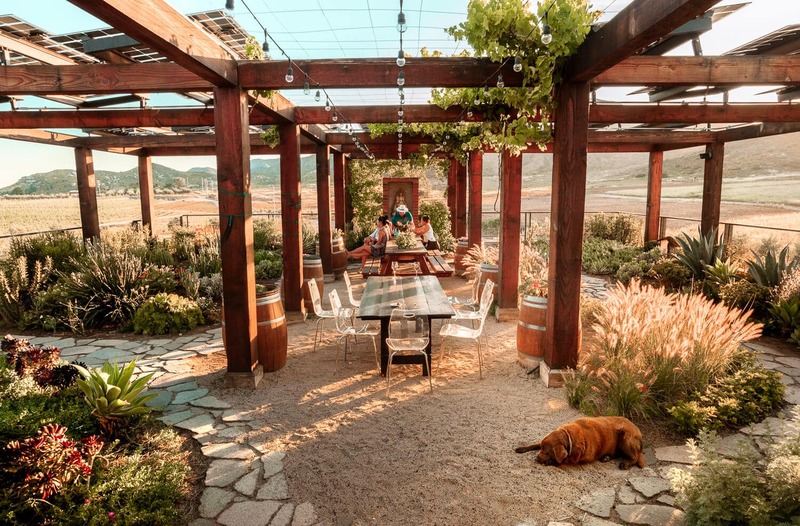 Located just an hour and a half from the San Diego border, Valle de Guadalupe is not only the perfect destination for a weekend escape, but it’s also one of the most unique wine regions we’ve ever traveled through. 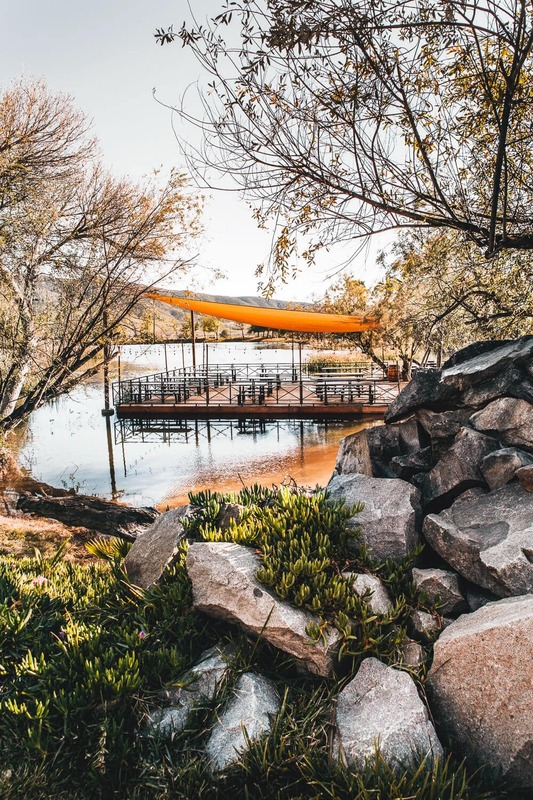 From the innovative designs, picturesque views and award winning wines, keep reading to discover 9 Valle de Guadalupe wineries to consider on your tasting tour. Rattling down the dirt road to Vena Cava feels like you’re on a never ending path to hell. Except when you arrive you’re not in hell, but more of a recycled hipster paradise with wine and food. Soo Heaven? 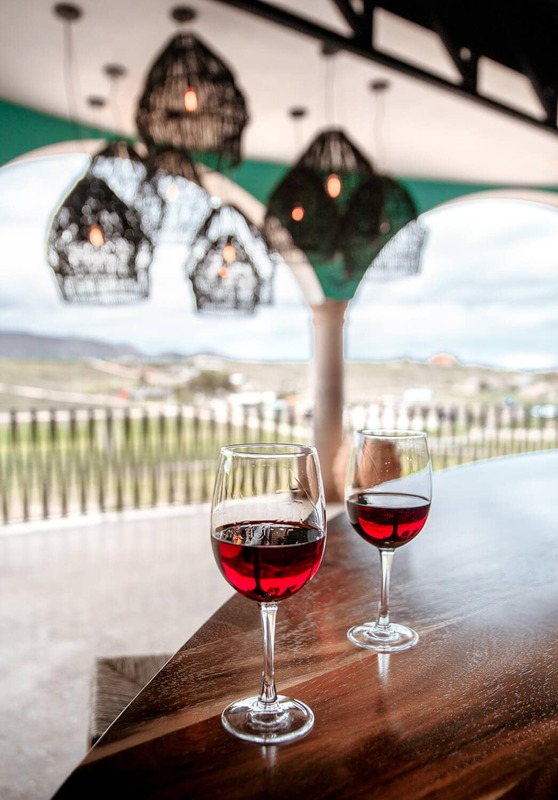 Call it what you will, but Vena Cava definitely earned itself a top spot on our list of favorite Valle de Guadalupe wineries. 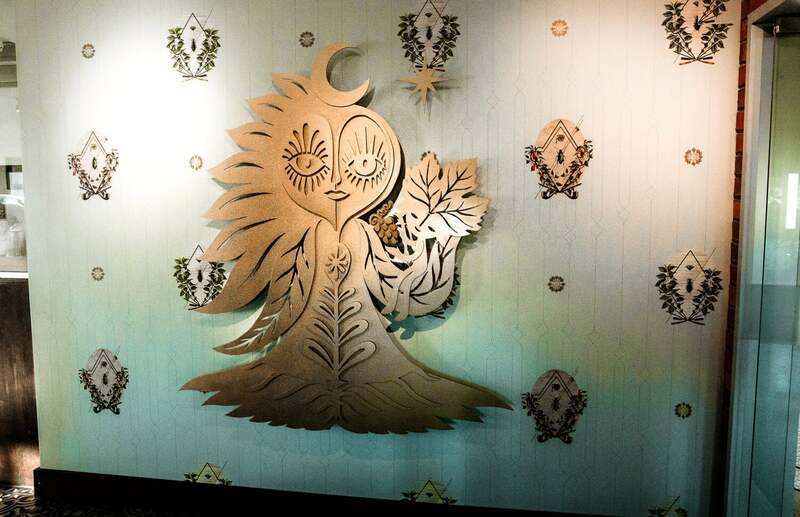 Vena Cava’s design was created by architect Alejandro D’Acosta, who uses the goal of minimizing impact on the Earth to fuel his art. He uses recycled materials like old bottles and tires, and gives them new life through his designs. 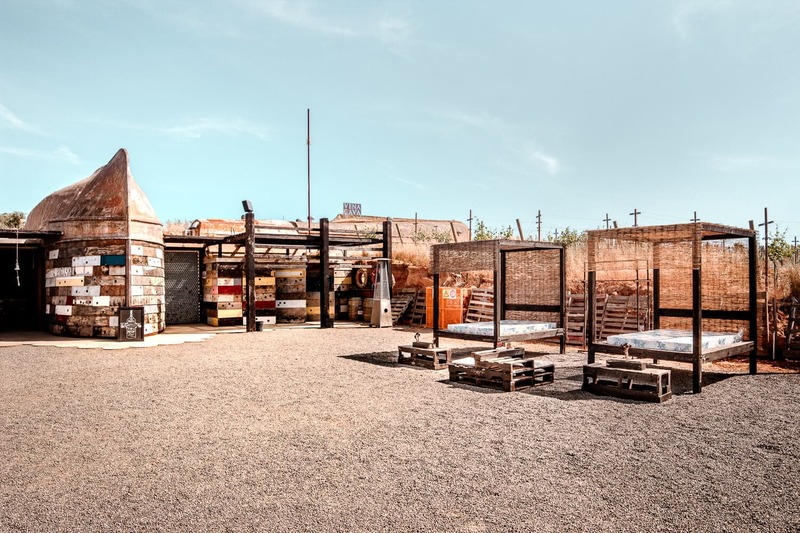 At Vena Cava, the winery’s ceilings are made out of recycled boats from a nearby port, and outside, reclaimed wood holds up the large net overhang which is used to shade guests. 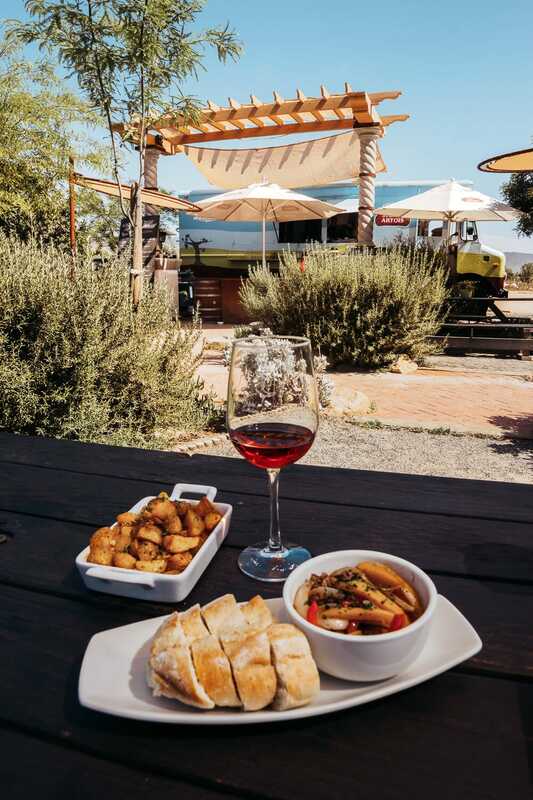 Vena Cava Winery has a large outdoor patio where you can order wine by the glass, or you can do a range of different tastings. Tasting reservations are required for parties over 4, and/or if you will be visiting on the weekend. I recommend coming hungry as the winery also has delicious food on site. 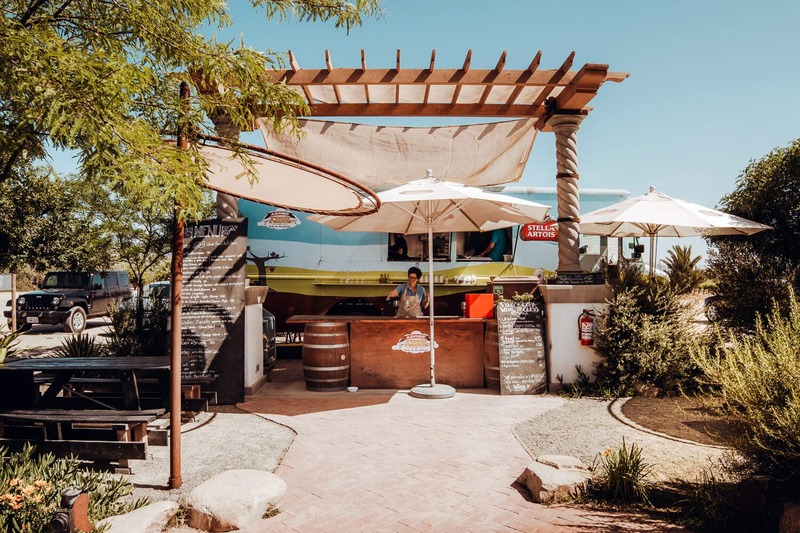 Troika is of the most popular food trucks in Valle de Guadalupe, and they serve everything from sliders and truffle fries to tacos and local craft beer. Hacienda La Lomita is located right next to La Cocina de Dona Esthela, which was named best breakfast in the world by FoodieHub. 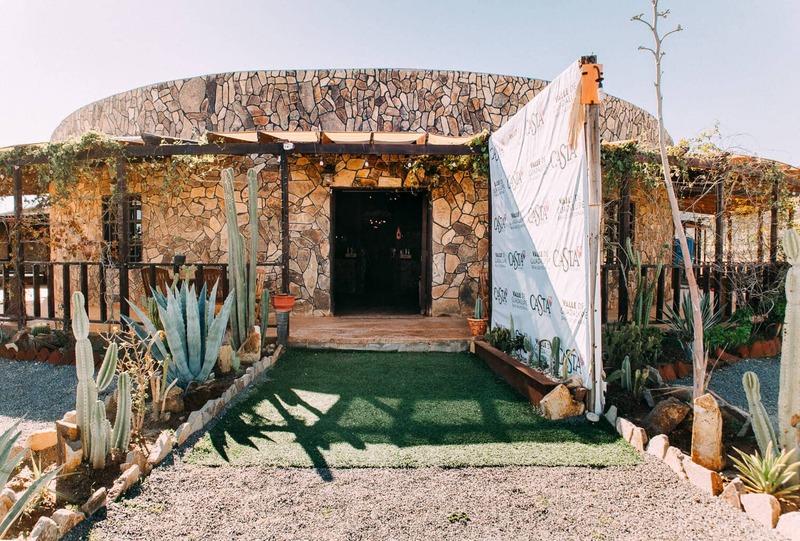 It’s not a visit to Valle de Guadalupe without a stop at this restaurant, but since the wait times are always crazy during the weekends, we like to pop over to La Lomita and pre-game our huevos rancheros with wine. 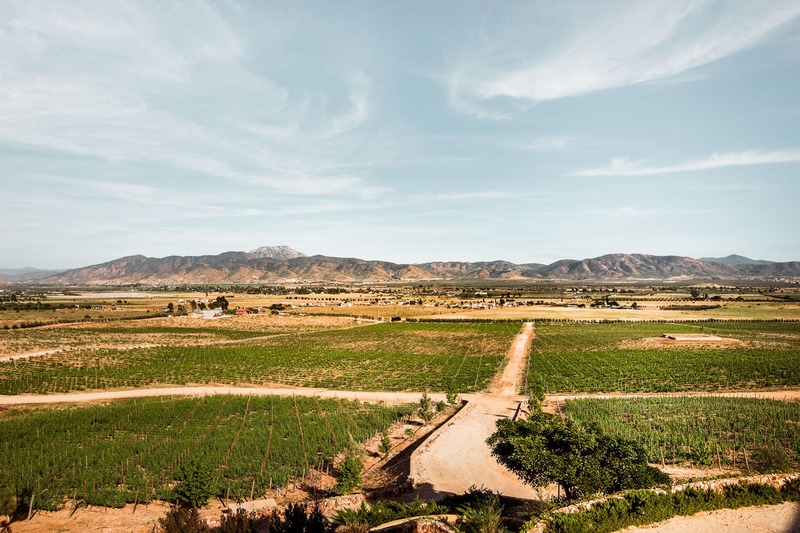 The wines at La Lomita are consistently some of my favorite out of all the Valle de Guadalupe wineries, with “Pagano” being at the top of that list. Pagano is 100% Grenache and one of the few wines from this region carried by the prestigious restaurant, The French Laundry in Napa Valley. La Lomita’s head winemaker, Gustavo Gonzalez, is a chemist with a masters in oenology (the study of wines) and one of the most recognized oenologists in the American Union. Gonzalez has over 20 years experience, 17 of which were spent in Napa Valley working for Robert Mondavi. During his time at Mondavi, Gonzalez graduated from lab technician to head winemaker in charge of their red wines. Today, he is the head winemaker for both Finca La Carodilla and Hacienda La Lomita wineries. 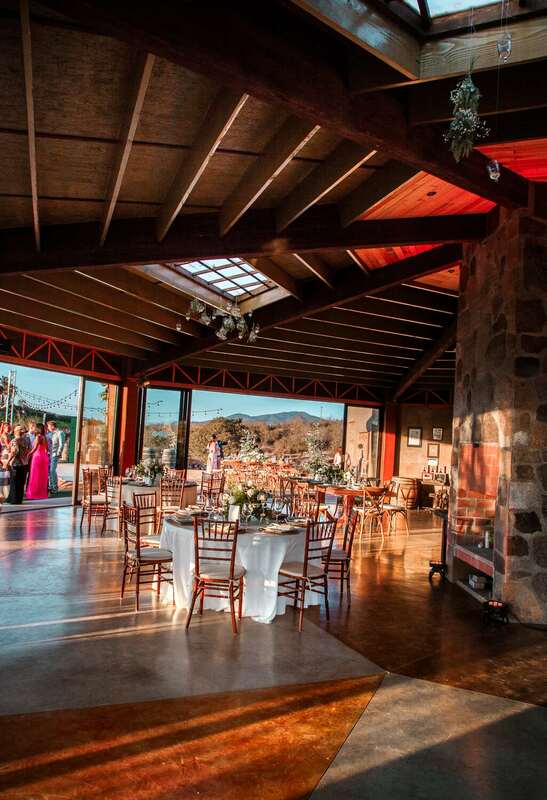 In addition to great wine, Hacienda La Lomita’s trendy tasting room is perfect for photos and also be sure to check out to their balcony for great views of the valley. 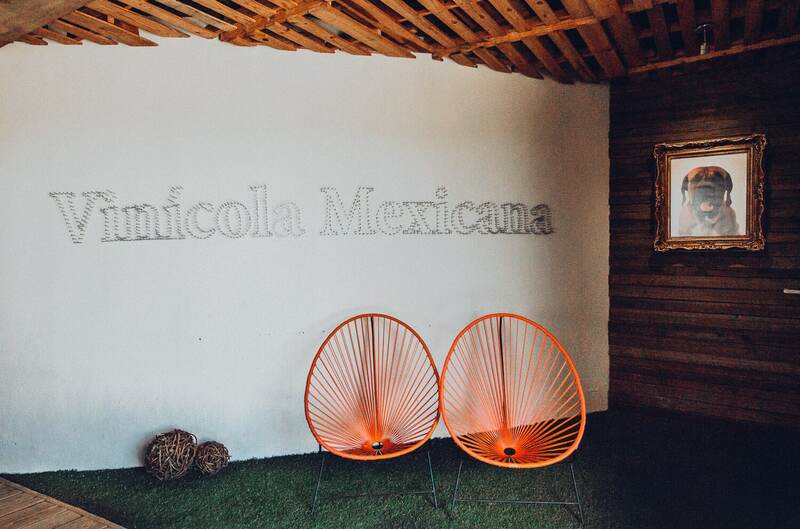 Hacienda La Lomita and Finca La Carodilla share the same owner, so it makes sense as to how they both wound up on this list. While the two wineries do share some similarities, they are also very different so I definitely recommend a visit to both. 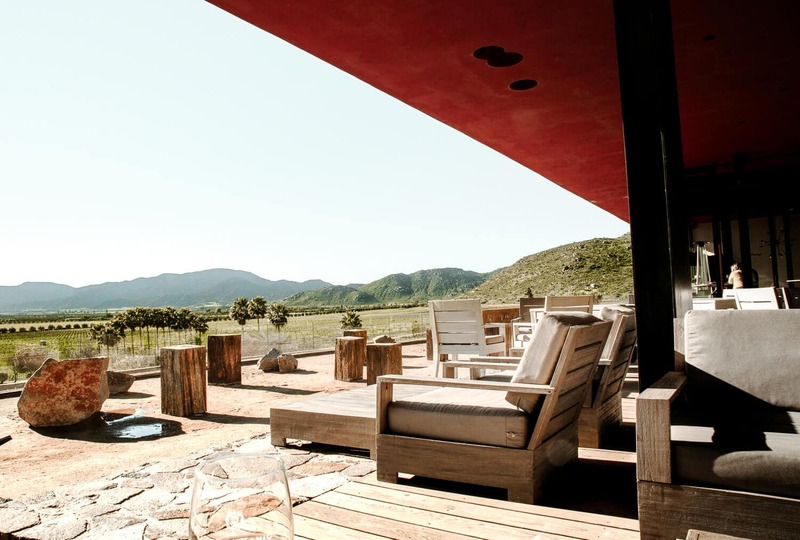 Finca La Carodilla is one of the most beautiful wineries in Valle de Guadalupe. On the second floor you’ll find a gorgeous manicured, outdoor garden and terrace. 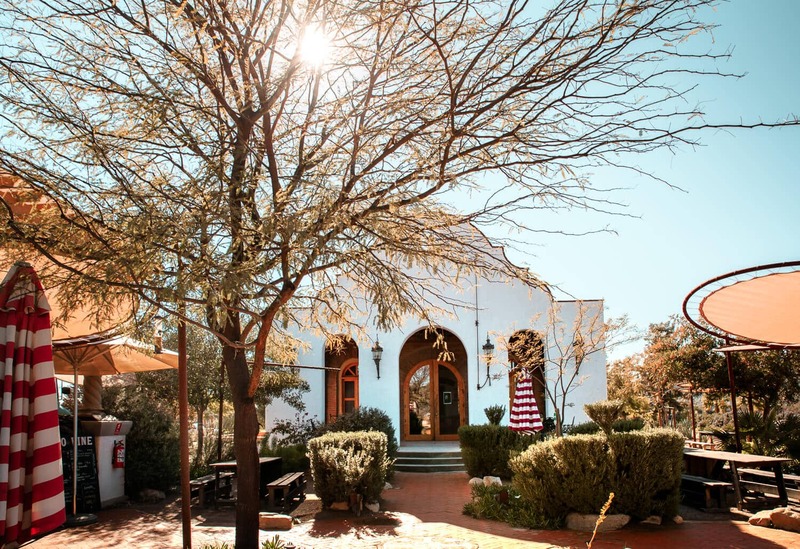 The Virgin of Carodilla, sits at the front of the patio watching over the vineyards while guests enjoy glasses of organic wine and cheese plates made out of milk from the winery’s own cows. If possible, I highly recommend stopping in toward the end of the day during golden hour (1-2 hours before sunset) because the lighting will be perfect for photos. 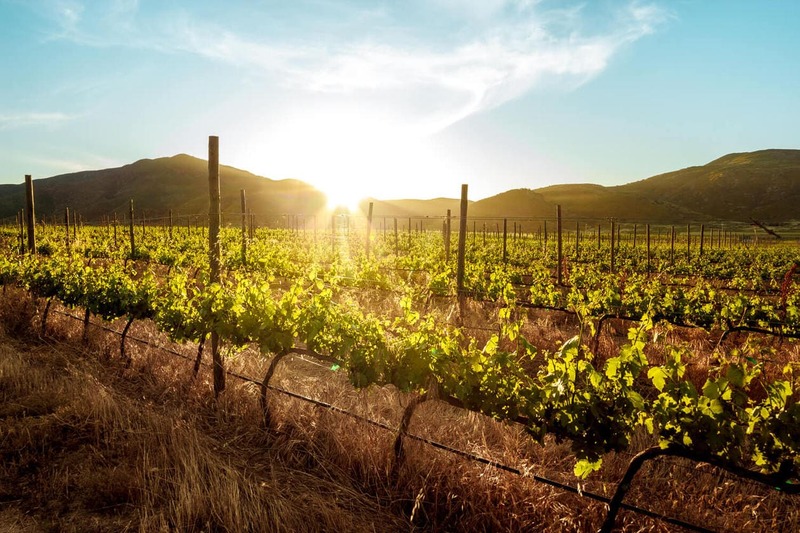 In Guadalupe Valley, wine can only be called 100% organic if the vineyard is not bordered by any house, farm or industry using pesticides or chemicals. 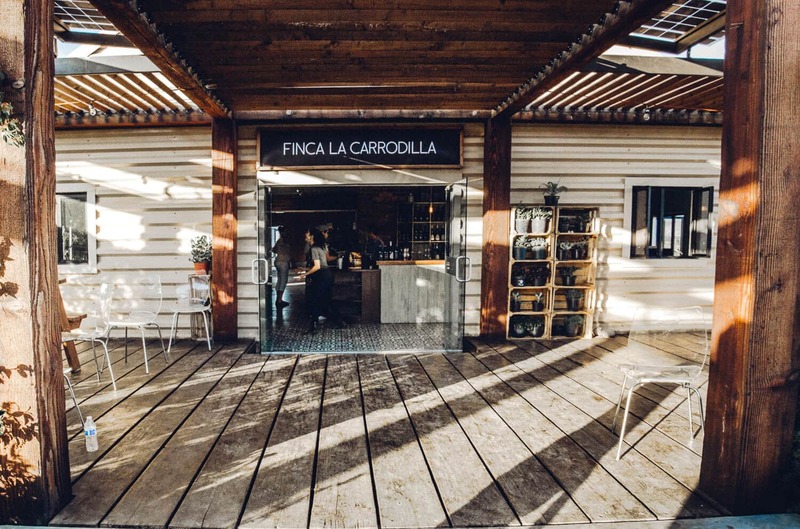 Finca La Carodilla was the first of the Valle Guadalupe wineries to become organically certified. They use a method called Biodynamic Agriculture which utilizes organic farming methods and promotes the earth as a living and receptive organism. Before you leave, be sure to check out the shop on the 1st level for dessert, homemade bread and organic vegetables and fruit from their garden. Adobe Guadalupe is a mission-style winery nestled amongst 60 acres of vineyards in the Guadalupe Valley. 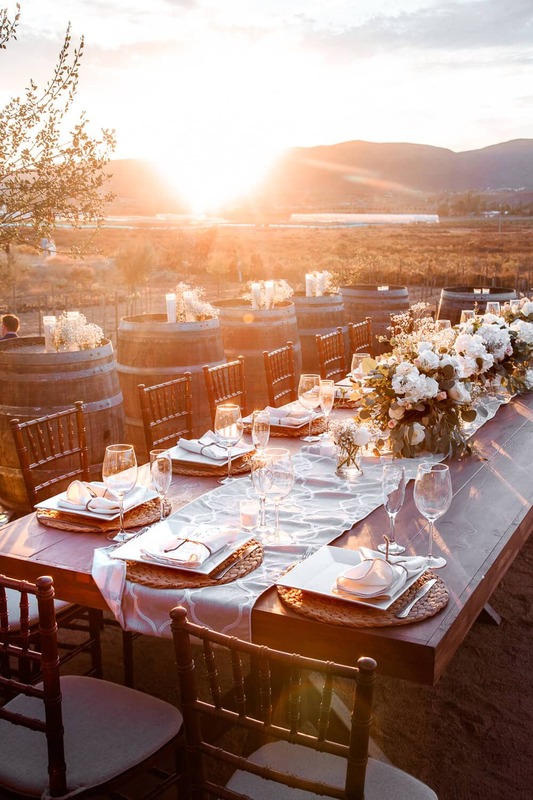 Their wines, all of which are named after archangels, are blends created from Cabernet Sauvignon, Merlot, Nebbiolo, Tempranillo, Malbec, Grenache, Cinsault, Mourvedre, Syrah, and Viognier grapes. Grab a glass of wine and take a seat in their pretty outdoor garden. 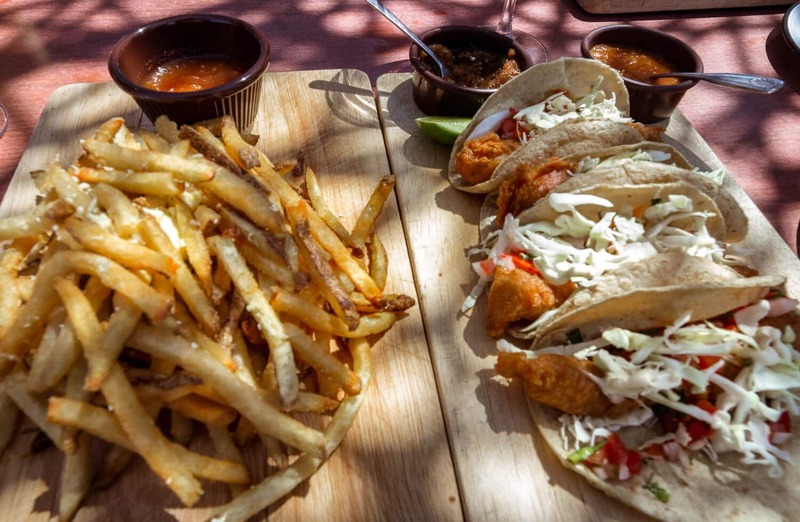 Be sure to come hungry as one of the most sought after places to eat in Valle de Guadalupe is located here. Adobe Food Truck is always packed with people ordering lunch from their menu of Spanish style tapas, salads, and sandwiches. If you’re an animal lover, arrange to take a horseback riding tour through their vineyards or even schedule a wine tasting in their beautiful stables amongst their Azteca horses. For those looking to spend more time at Adobe Guadalupe, they also have a 6 room hacienda style Bed and Breakfast on site. Monte Xanic is the third largest winery in Mexico and one of oldest of the Valle de Guadalupe wineries. 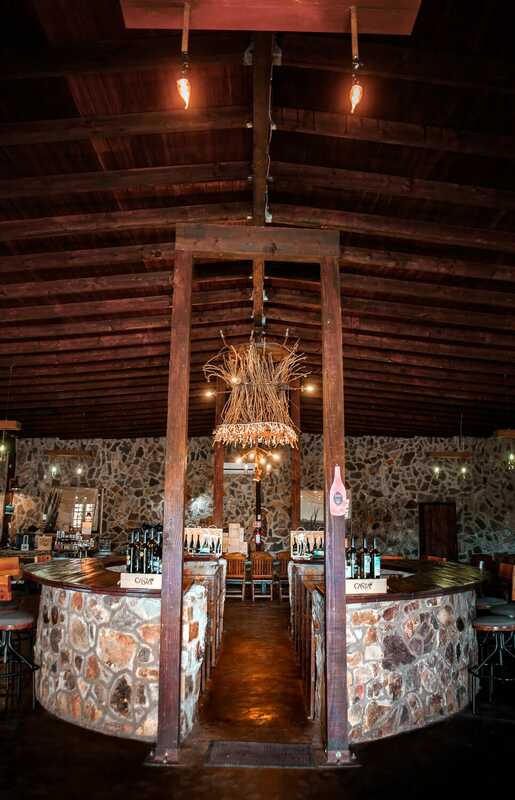 Having won over 260 medals in competitions worldwide, this winery is a must visit on your tasting tour of the valley. Before stopping by Monte Xanic, it’s important to make a reservation ahead of time. When you pull up to the winery, a big gate will block your access until the guard checks your reservation and lets you in. Once you’re on the other side of the gate, rows of vineyards will lead to the lower level of the property where you’ll find a peaceful oasis with a lake and an outdoor tasting room and grill (open only the weekends). A much different setting compared to the valley’s other wineries, and it’s the perfect place to relax and spend the afternoon. If you head up the hill, you’ll reach the main tasting room which has tons of outdoor seating, incredible views and also a restaurant (also only open on the weekends). Considering the grandeur of the property, I was pleasantly surprised to find that most of their wine is very affordable. There are 4 major labels under the Monte Xanic umbrella which range from 105 – 850 pesos ($5-$44 USD) a bottle. 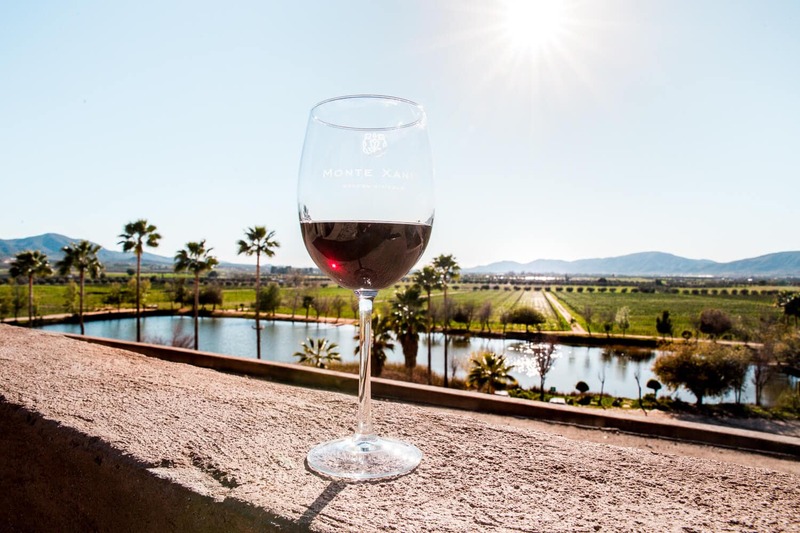 If you’re not sure where to start, their most popular and award winning wines are the Viña Kristel Sauvignon Blanc as well as their Cabernet Sauvignon. 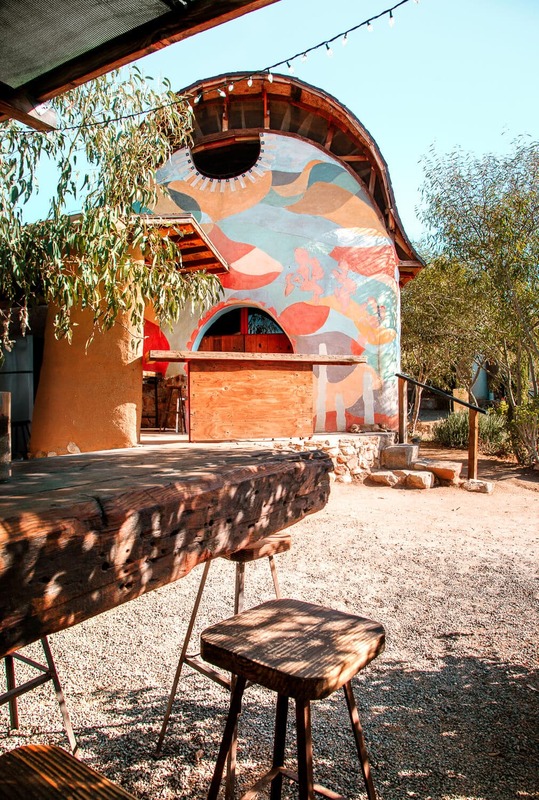 Sol y Barro is an interesting and unique stop on the wine trail, with more of an earthy, boho feel than some of the other Valle de Guadalupe wineries on this list. 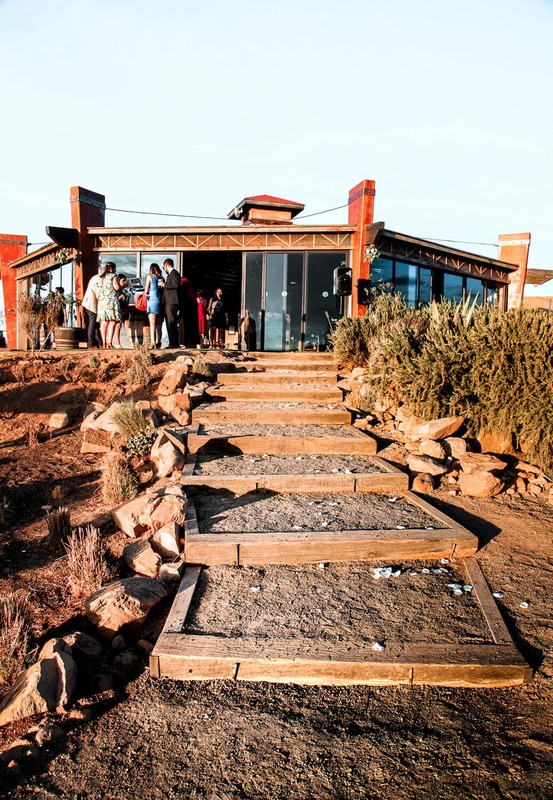 The buildings at Sol y Barro are cob and were all handcrafted by the owner, Aime Desponds, using soil, clay and straw. The tasting room is located in one of the cob houses. It’s small and dimly lit, and the tasting experience feels very intimate and private. However, due to its size, the tasting room can hit capacity rather quickly so reservations on the weekend are recommended. If you’d prefer to skip the tasting and order a glass instead, there are seating areas outside to enjoy your wine. One of our friends got married at Xecue last year, so our experience at this winery was a little different than a regular wine tasting. Still, we loved the atmosphere and would definitely return for another visit. Xecue is a consistent guest favorite on Trip Advisor, and for good reason. The tasting room is beautiful, with huge open windows, lots of indoor and outdoor seating and a 360 degree view of the landscape. They also have a restaurant on site, and are pet friendly. To be honest, I didn’t pay that much attention to the wine as we were in celebration mode during the wedding, but Xecue catered the event and all of the food was delicious. 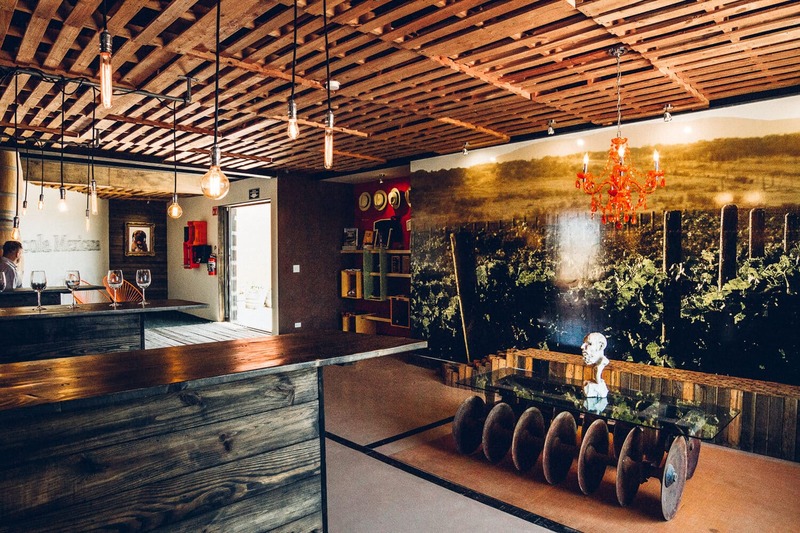 In terms of design, Las Nubes is an upscale traditional looking winery that reminds me of something you’d find in the Temecula wine region of Southern California. 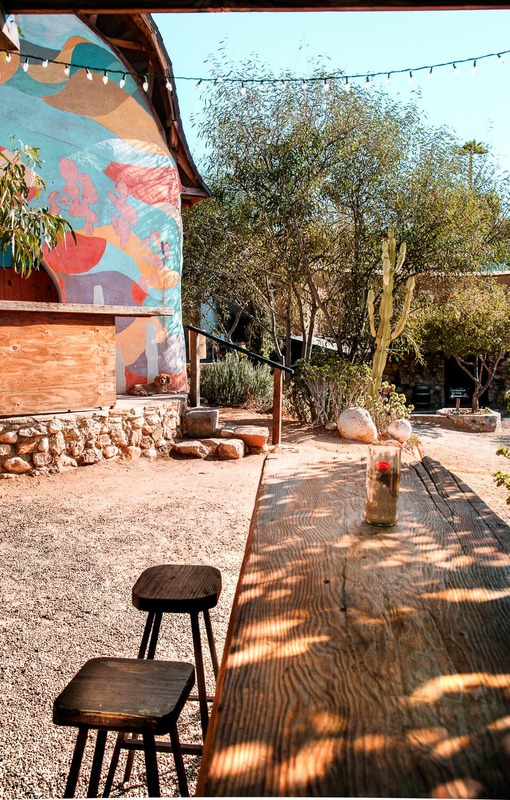 Personally I think there are more unique and interesting wineries to visit in Valle de Guadalupe, but our entire group (including Nick) really liked Las Nubes so I wanted to include it in case you might too! 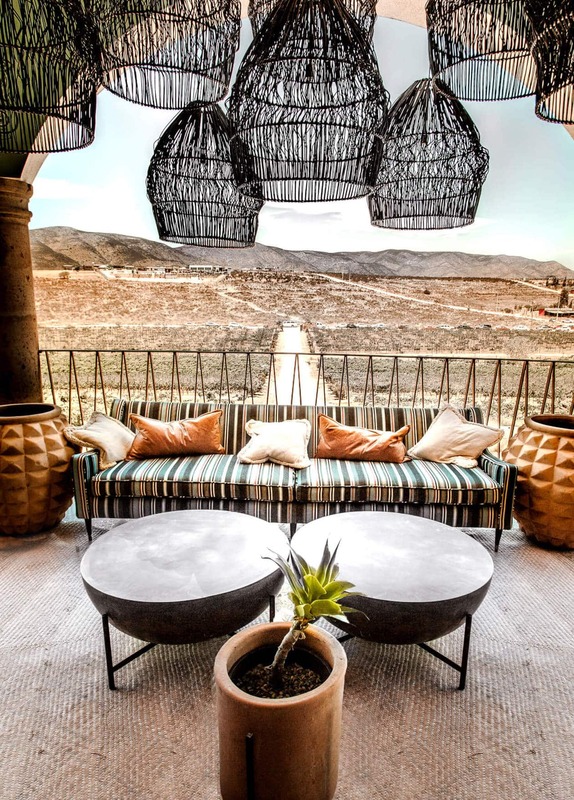 The highlight of Las Nubes is their enormous patio with gorgeous panoramic views overlooking the valley and the vineyards. 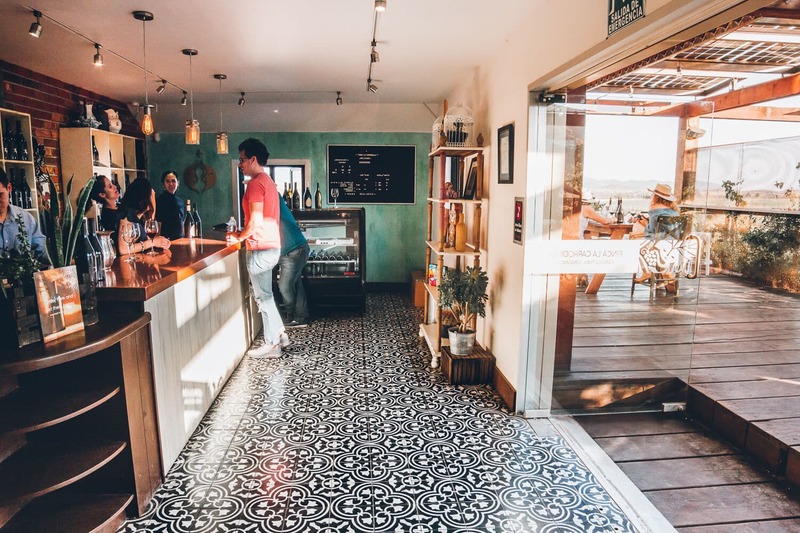 There is plenty of indoor and outdoor seating, a long list of wines to try as well as a small selection of tapas in case you’re feeling hungry. One of my favorite things about Las Nubes is that they implement sustainable practices in their process. All of the water used in their production of wine is reclaimed, treated and cycled back to water the vineyards. 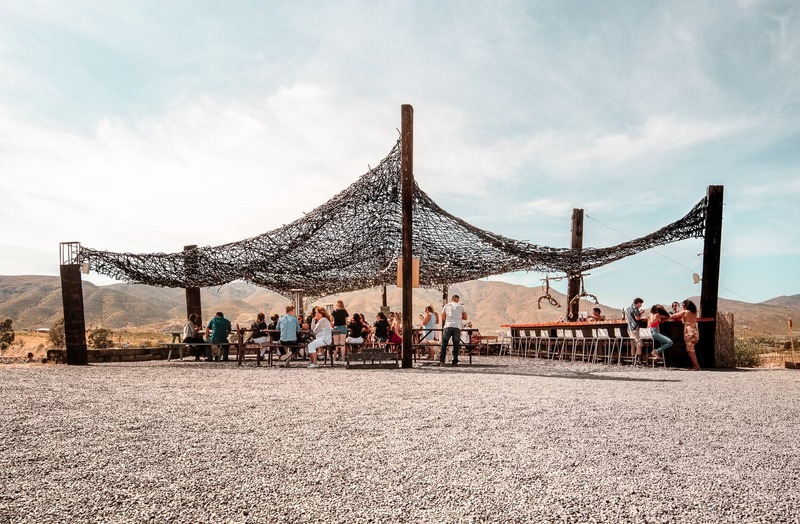 While the main draw for many of the Valle de Guadalupe wineries on this list are the views, food or ambiance, Casta de Vinos is known for it’s wine. Despite being a newer winery in the region, this small family owned operation has already won a handful of awards including 1 grand gold, 21 gold, and 14 silver medals. Their circular, cave-like tasting room is beautifully designed and the glass floor in the center of the bar gives visitors a glimpse down into the cellars. Nick and I stopped in during a weekday and ordered a tasting flight. The sommelier was so sweet and knowledgeable and after the tasting, she gave us a tour of the cellars. 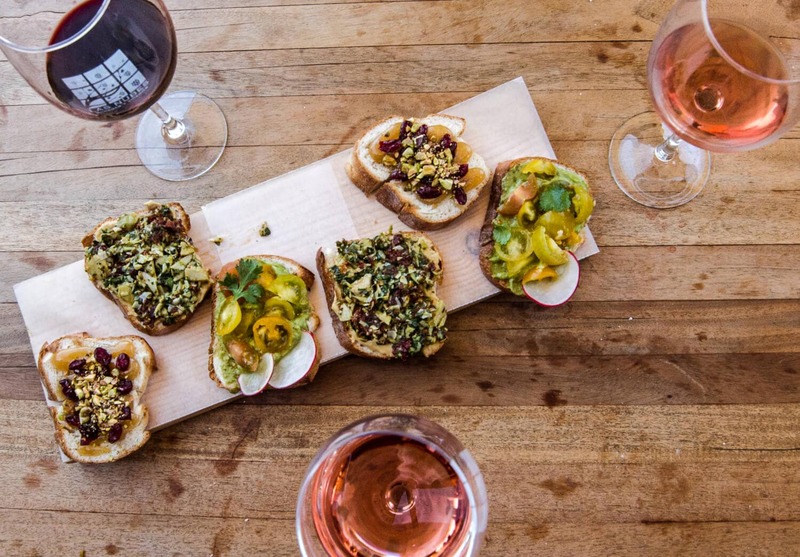 On the weekends Casta de Vinos opens their kitchen which serves up pizza and empanadas. Did I miss anything? Let me know what Valle de Guadalupe wineries we should to check out next time!